Indiana University is agile, nimble, and ready to respond quickly to economic opportunities and attract private sector development—our commitment to creating and sustaining places for innovation proves it. The Mill's vibrant community supports remote workers, entrepreneurs, and talented likeminded people. The unique community is filled with freelancers, copy writers, attorneys, software and AI developers, graphic designers, nonprofit workers, creatives, and creators of all types. In 2015, Indiana University and IU Health partnered to begin creating a regional academic health campus on the northeast edge of the Bloomington campus. The health campus brings together research and practice with the largest collection of academic health programs in the state outside of Indianapolis, embedding students with practitioners and allowing clinicians the opportunity to teach. This campus will help address the state’s continual shortage of medical and health science professionals. IU’s technology park is adjacent to the hospital campus. It houses IU’s information technology services operation—a leading university IT unit—and contains some of the best IT infrastructure available. These health and technology investments will drive significant economic development opportunities for Bloomington and for the region. In particular, biotechnology, IT, and health sciences companies interested in co-locating with IU will find an ideal environment for innovation in the tech park and health campus. IU is partnering with Sony company Memnon, Inc., to preserve historically and culturally significant audio and video recordings through the Media Digitization and Preservation Initiative (MDPI). This work takes place at the Innovation Center located in IU’s tech park. Situated just northwest of downtown, the Trades District is a 12-acre portion of Bloomington’s certified technology park. It’s envisioned not only as a place of innovation and job creation, but also as a thriving cultural and economic destination for the community as a whole. Running from IU’s tech park to the city’s Trades District, Bloomington’s Tenth Street is a connector for entrepreneurial activity. Along the Tenth Street corridor are a number of hubs of innovation and entrepreneurship, including the renowned and highly ranked IU Kelley School of Business and the School of Informatics and Computing, home to IU’s Intelligent Systems Engineering program. 16 Tech is an ambitious life sciences and technology district adjacent to the IUPUI campus and anchored by the Indiana Biosciences Research Institute (IBRI). 16 Tech aims to attract leaders in the life sciences, technology, advanced manufacturing, and creative industries. The Office of the Vice President for Engagement has been heavily involved in the leadership of both 16 Tech and IBRI. 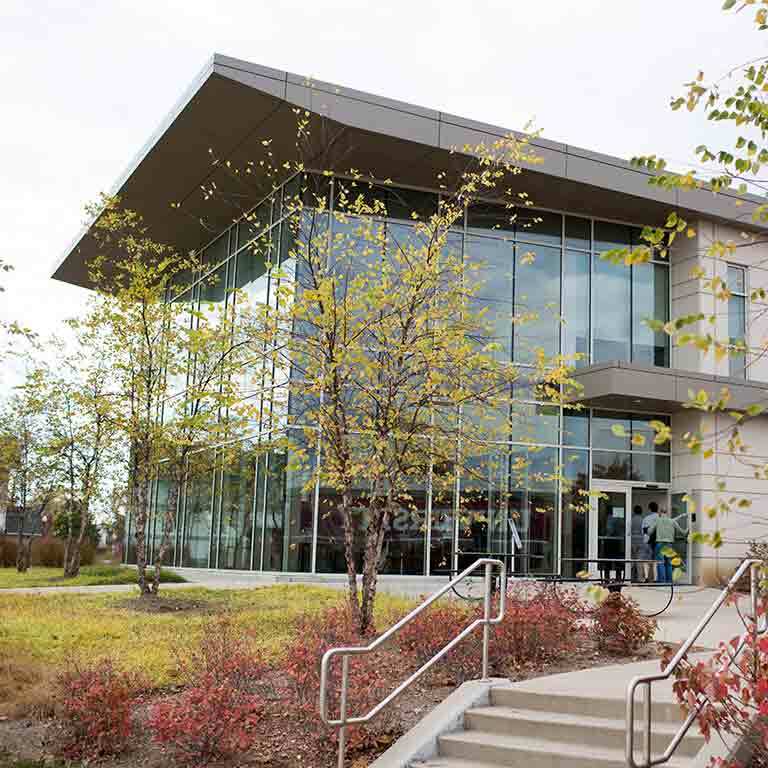 The new Indiana IoT Lab-Fishers, co-founded by Indiana University and located in the city’s certified technology park, aims to encourage innovation within the Internet of Things industry. The lab will give Indiana University students and faculty the opportunity for collaboration, research, and internships. Union 525 is a top tech venue providing space for startup and growing companies in downtown Indianapolis. Our presence at Union 525 enables Indiana University to directly collaborate with Indianapolis tech innovators and entrepreneurs. The Shared Drive is Howard County’s first co-working space for entrepreneurs, located in the Inventrek Tech Park. Purdue Research Foundation, WestGate Authority, Naval Surface Warfare Center Crane Division (NSWC-Crane), Indiana University, and many others are partnering to support technology research, commercialization, and job creation throughout Southern Indiana.